“Until I Met You” was written in 1956 by Freddie Green and Donald E. Wolf. 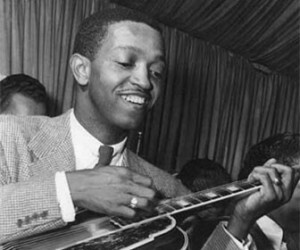 This song is also known as “Corner Pocket.” Freddie Green played rhythm guitar for the Count Basie Orchestra for fifty years. This song has also been recorded by Duke Ellington, Count Basie, and Sarah Vaughan, among others. “Until I Met You” was recorded on March 16, 1962 for On The Glory Road, which was to be released in 1962, but was cancelled. This recording was included on the 1963 album I Wanna Be Around. The song was arranged by Ralph Sharon.